Throughout the Obama reign and since Rep. John Boehner (R-OH) has been Speaker of the House, our national debt has increase by $2.678 trillion. 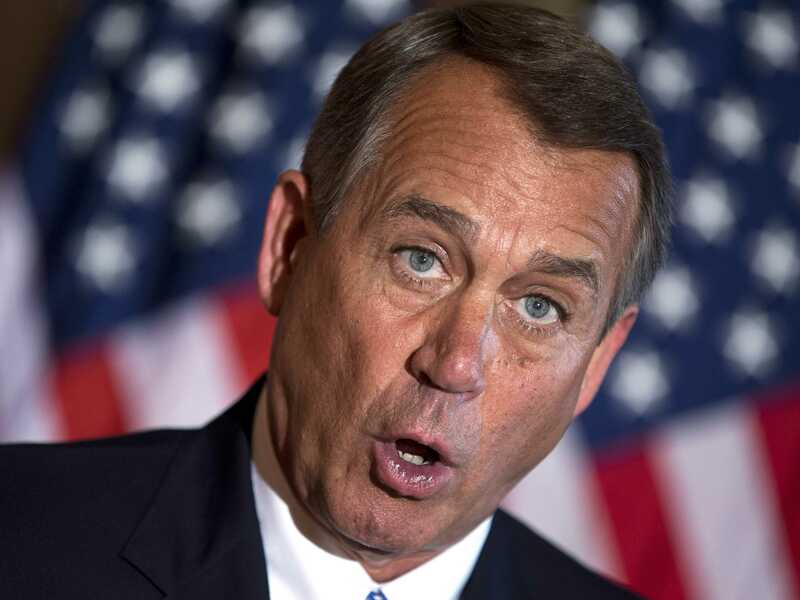 Sadly, Boehner has repeatedly voted for spending increases during the Bush II and Obama presidencies. Recently, Logan Albright of FreedomWorks added up the staggering debt voted in favor by Rep. Boehner, which during the Bush II years Boehner voted to raise the debt limit in 2002, 2003, 2005, and 2008 for a total increase of $3,631 trillion. What's worse is America’s debt is at least $18 trillion today, and Obama, Pelosi, Reid and most-likely Boehner are seeking to raise it again. Again? Who pays for excessive spending? Answer: Every Federal taxpayer. Who pays for money borrowed by the government? Answer: Future taxpayers. Does government debt cause inflation? Most often government debt causes inflation – higher prices for goods and services. This decreases the value of money and assets. Thus, every American suffers, even the young and unborn. Unfortunately, Boehner, Obama, Reid, Pelosi and many other Democrats and Republicans spend money today and stick the debt to future Americans. This is morally wrong. Worse, it is dangerous. Just ask the Greeks. Americans needs a constitutionally-defined debt limit. Every American must demand at debt limit of 60% of GDP. The "debt limit" does NOT limit debts - it limits the ability to pay debts. It is actually a PAYMENT limit. Everyone in Congress needs to stop authorizing bills that have built-in expenditures - that's how you stop the spending. All that not raising the payment limit does is to lower our credit rating and increase our interest expense while making everyone who votes for it look like fools to anyone who cares about how government works.